Having a difficult time thinking of a Valentine’s Day gift? 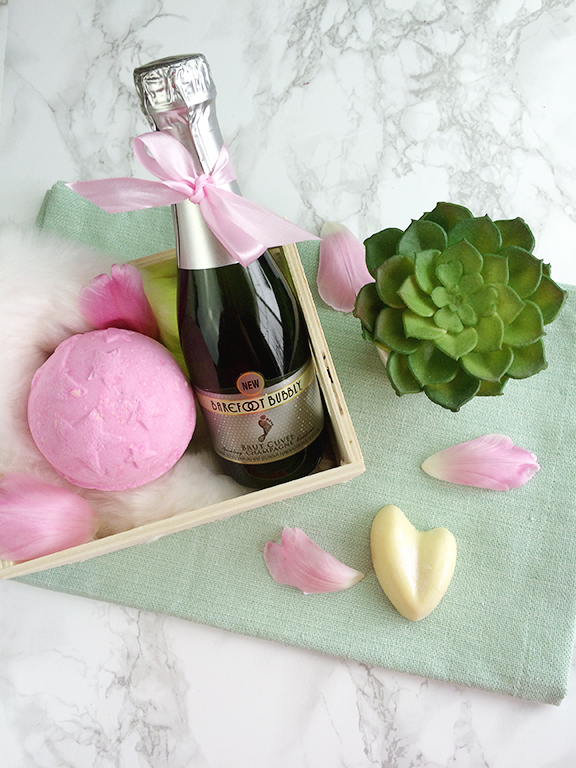 Try putting together a small themed gift basket! Things have been hectic around here lately, so relaxation was on my mind. 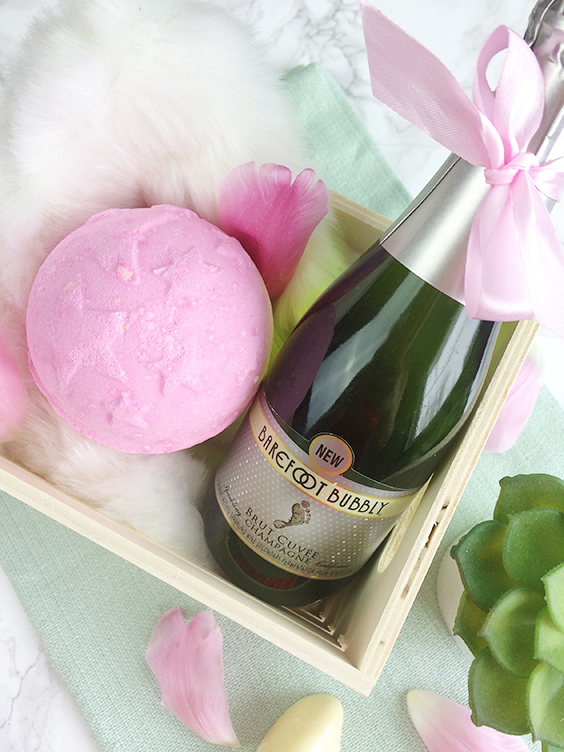 To give the gift of “relaxation,” I added little items that facilitate an evening of pampering: a Lush bath bomb, massage bar, and mini bottle of champagne. Search Spotify for a spa playlist and you have the perfect environment to let your stress melt away. 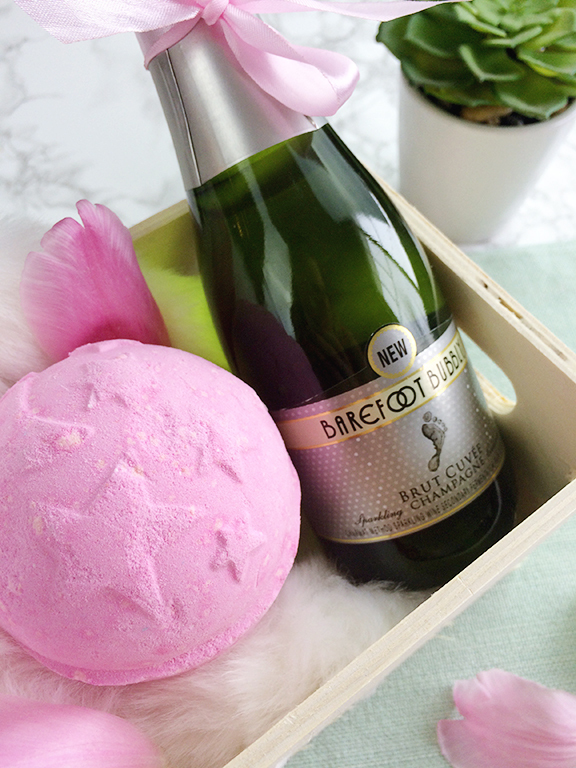 What relaxation items would you put in your gift basket? Thanks, Kenzie! I discovered LUSH a few years ago in Chicago & now I can’t have a bath without a bath bomb:) LOVE THEM! haha. I’m glad you enjoyed today’s blog post and I hope you have a wonderful rest of your week!